Here we go ’round the mulberry bush in post-apocalyptic America, the salvation of which depends on one little girl called Swan. Possessing a supernatural affinity towards plantlife (including mulberry bushes, I assume), she has the power to bring a world devastated by nuclear war back to life. But it’s almost one thousand pages to get there, and there’s a nuclear wasteland in between. Luckily she has a little help from her friends; there’s the former wrestler Josh (aka. Black Frankenstein), as well as the traumatized woman known only as Sister Creep, plus a few others. In addition to general devastation, radiation and other ills of the war, the good guys are opposed at every turn by the devilish Man with the Scarlet Eye, whose sole purpose seems to be to destroy all life and hope, with glee, while humming the old song. The structure is familiar; the protagonists and the antagonists (including a ragtag Army of Excellence led by a crazed colonel and a psychopathic teenager) start out separately and are then brought together by the plot. Beginning with an epic Tom Clancy opening, the novel soon settles into a comfortable groove, with closeups on the handful of survivors and their travails. The episodic quality keeps the stories going, with some fits and jumps; there are the chapters with the sad and the chapters with the mad, familiar tropes all from such later shows as Walking Dead. Towards the end, some of the plot strands are railroaded rather forcefully towards the conclusion; the neat and tidy ending is perhaps slightly too neat and tidy. Some of the ideas, such as Job’s Mask (a growth/cocoon around the face that later bursts to reveal the character’s true inner self), provide altogether obvious and unnecessary emphasis. The many Christian references late in the novel are also somewhat surprising; perhaps in the eighties religion didn’t quite have the same stigma it carries in these latter days. There’s a healthy helping of the supernatural and the fantastic in the mix; Sister Creep is led to Swan and Josh by a glass ring (glass and jewels from Manhattan shops fused together in a nuclear blast) that gives her visions. The Man with the Scarlet Eye wants it, and it’s his short forays to the center stage – watching a movie at an undamaged movie theater in otherwise levelled Manhattan is a particular high point – that give the novel that extra kick, especially when the gloomy realism of the post-apocalyptic world starts to become too much to bear. The writing is familiar McCammon, with a kind of electric charge humming throughout the novel. Due to the massive length, the current sometimes sags and surges, but that’s only natural. McCammon weaves his saga expertly, with seemingly disparate elements (the glass ring, tarot cards, phrases from T.S. Eliot) being fused one by one together at later points. The characters are likeable, with Swan growing up into her Fisher Queen role, and Sister Creep coming out of her personal haze to save the world. Of the evildoers, the teenage army captain Roland Croninger, who loses himself in his own strange game, stands out. It’s a long journey, but the company’s great and the scenery will blow your mind. Published by Pocket Books in 1987. Available in multiple formats. Visit the author’s site! And remember McCammon’s new novel The Border (out in May)! Now here’s a classic that was out of print for a criminally long time. Michael Talbot‘s Victorian vampire novel is a majestic achievement, an epic alternate history about a world existing just beneath the surface, yet guiding and influencing everything. Gone are the ghoulish Nosferatus and seductive Draculas; instead, Talbot’s vampires are detached and alien (emphasized by their particular way of walking, different from men), driven by arts and science, serving as guardian angels to mankind. It all starts to come to light when the musically talented daughter of one Doctor Gladstone is abducted by his patient, a young and seemingly ageless Italian man called Niccolo. Gladstone tracks their trail from London to Paris and to the shores of Italy along with a new acquintance, Lady Dunaway. In the process, the age of the ageless vampire will come to an end. 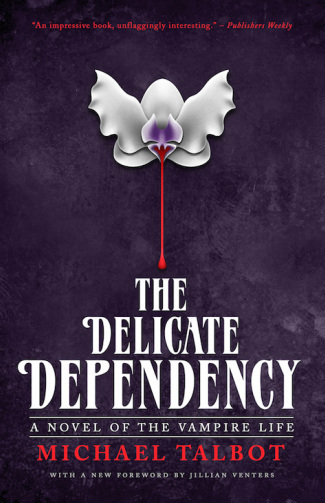 The Delicate Dependency is more a historical novel in the vein of Tim Powers (think 1983’s The Anubis Gates or 1989’s The Stress of Her Regard) than outright horror. The detailed descriptions of Victorian London and fin-de-siècle Paris (with frequent snippets of French and Italian languages) bring out the atmosphere just right, enveloping but not suffocating the reader in a rich tapestry of history. The realism is palpable, and when the novel begins to stretch its bounds, the style remains constant, making it all that little bit more believable. Against this elaborate background the characters manage to come to their own as well. Gladstone is a man of learning driven by the search for his daughter, but there are different sides to him, especially in the early part of the novel. The elder daughter, Ursula, is seduced by the idea of ageless vampirism. Lady Dunaway undergoes several twists during the course of the story, first hunting vampires because they took her son and then just hunting them, like a prototypical vampire hunter. Paris, with Notre Dame in the background. Coincidentally, I finished reading the novel in the surroundings it’s set in. But the stars of the novel are the vampires, paternally guiding mankind throughout centuries, protecting us from our own follies. Each vampire is unique, possessing some talent worth preserving; decisions to turn men into vampires are cool and calculated, in the service of a higher purpose. For instance, there’s Ilga, a mathematical genius who can predict the future as well as it can be calculated; Hatim, a falconer with an almost supernatural connection with his falcons; and so on. And somewhere above everyone else looms the mysterious, ancient Lodovico, the key to everything that happens in the novel. In the most remarkable deviation from tradition, Talbot’s vampires abhor violence. Not much criticism can be levelled against the novel; the writing is excellent throughout, and despite the immense amount of exposition and detail it never gets tiresome. However, things do stagnate somewhat during Gladstone’s imprisonment in Paris, and some plot twists are a bit forceful, but in the grand scheme of things such grumbles are barely noteworthy. It’s the big picture that counts, and Talbot’s novel is as epic as they get. 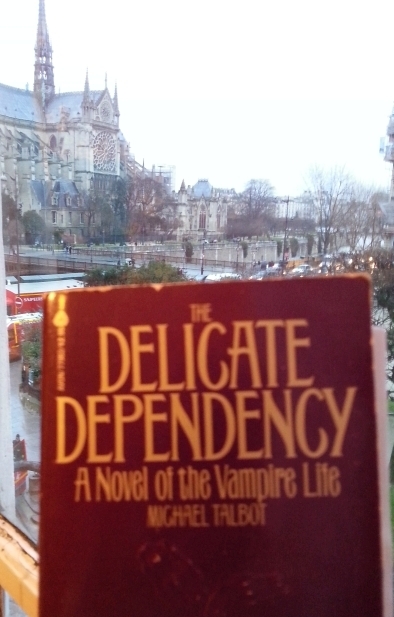 The Delicate Dependency is a gorgeously beautiful book, gone far too soon but luckily now available again. It’s a very, very welcome return. Highly recommended. Originally published in 1982 by Avon Books. Available now from Valancourt Books! The name’s a dead giveaway – it’s quiet horror in this 1992 novel by Maine’s foremost Finnish-American author. In the 17th century, a witch heading for the gallows curses the land around her. Later, a mill is built on the grounds, but by the 1960s it has long been abandoned. Two young brothers, Eddie and Mikie, enter the mill with a group of boys, only for one of them to get seriously injured in a fall. 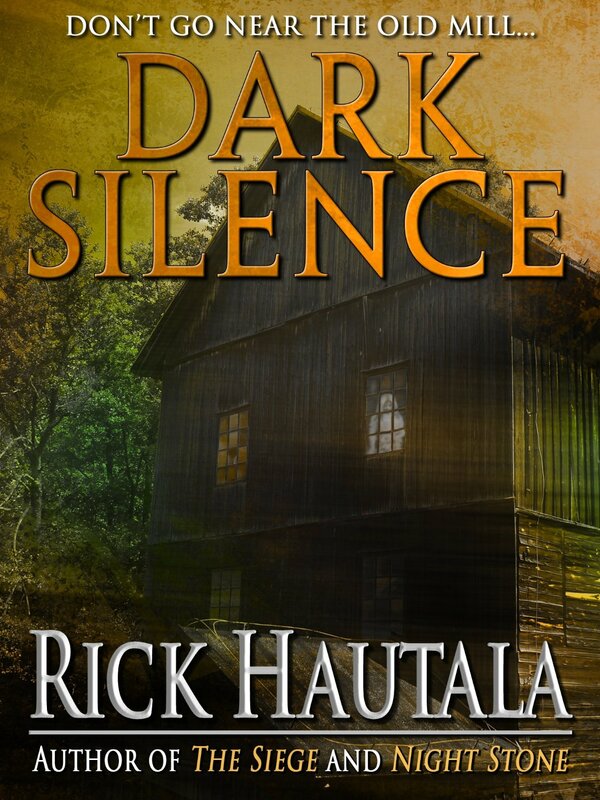 In the present day, Eddie’s son Brian and new wife Dianne discover what haunts the old mill. Witches and ghostly voices abound, but the story’s about the living; the characters are haunted more by their fears and past actions than anything supernatural. Eddie himself carries guilt about the accident at the old mill, which saw one of his friends paralysed and Mikie sent to a mental asylum. Dianne has a near-fatal accident that echoes the fall at the old mill, and undergoes a painful recovery. Brian has difficulties with Dianne, probably simply because she’s his new stepmother and he’s a moody adolescent. 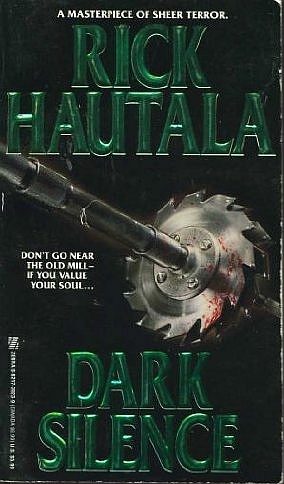 The mentally unbalanced brother, Mikie, appears later in the novel as a minor threat, but Hautala manages to make his portrait a complex one, with shades of sympathy. This is the novel’s greatness; nobody in it is simply good or evil, even the witch and the spirits are mostly victims of bad circumstances. Surely this sort of depth and understanding is far above and beyond an average Zebra horror author’s paygrade. Hautala’s mannerisms – the overuse of italics and exclamation! marks – are present, but unlike in Little Brothers they seem moderate, and don’t draw attention to themselves. Subtlety has clearly triumphed over cheap cheesiness. However, one cannot escape the sense that Hautala had a quota to fill – most Zebra paperbacks are suspiciously uniform in size, about 400 pages. There’s some bloat in Dark Silence, especially in the latter half. But in the midst of this mass market excess there are the bones of a decent novel, with subtle characterisations and a vividly dark atmosphere. 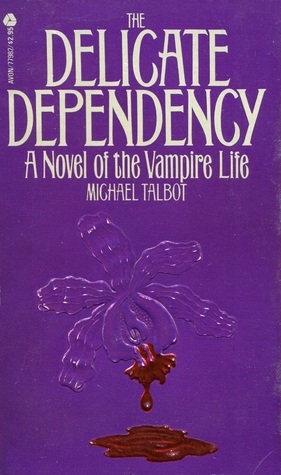 Published in 1992 by Zebra Books. Currently available as an ebook from Crossroad Press. Visit the author’s site! Frankenstein meets The Great God Pan in a story that spans a lifetime of two men; the fates of young Jamie Morton and reverend Charlie Jacobs become intertwined when the latter becomes the town’s new reverend. Affable and easygoing, he’s liked by everyone – until he loses his family in an accident and angrily renounces God. But there’s a new god waiting in the wings for the good old reverend: electricity. While we follow Jamie’s exploits (first love, first band, drug addiction, calm middle age), Jacobs uses his growing knowledge to go from a reverend to a carnival attraction to a spiritual healer, and later cures Jamie from his addiction. But some of Jacobs’ patients and test subjects begin to experience strange side effects, giving clues about Jacobs’ ultimate goal: to look beyond the veil of reality. It’s straight out of Arthur Machen, the man credited in CAPITALS on the first page of the book; the final patient is even called Mary, just like in Machen’s story. But it’s mostly seasoning; structurally the novel is familiar King territory, reminiscent of From a Buick 8 or Joyland (there are many references to that novel’s carnival vocabulary). And on his home turf, King is undeniably the best there is. 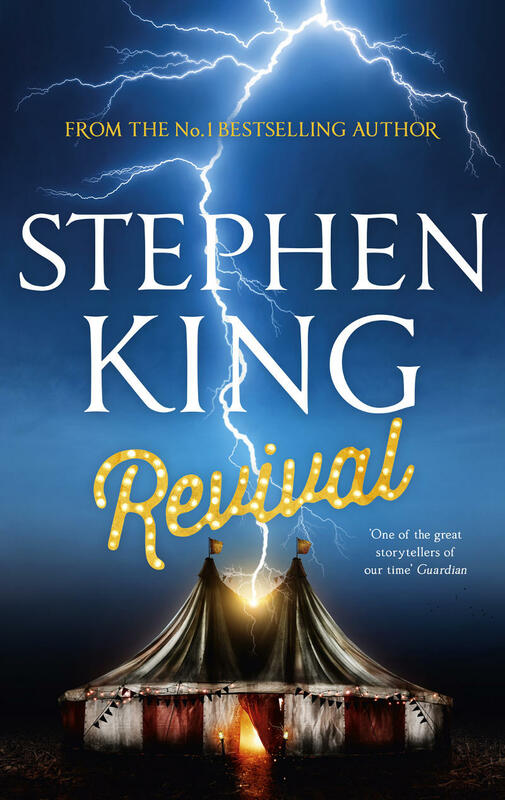 Revival is a great yarn, full of nostalgia and experiences that ring true. King’s characterisations are always above and beyond most in horror fiction. But the seasoning can sometimes overwhelm the more astute reader. There’s the (silly) namechecking of certain mythos tomes, such as Robert Bloch‘s De Vermis Mysteriis or even the (bloody) Necronomicon. Perhaps King is having fun at the fanboys’ expense (others probably won’t even notice), but such references went out of style already back when August Derleth was churning out Lovecraftian pastiches. The ending, or the great revelation of what waits us beyond death, is straight-up cosmic horror: death is no escape, only a doorway to something worse. The reader gets a small glimpse of the thing clawing out of Mary’s mouth, and it’s just enough – the reader’s imagination will take care of the rest. And the wave of suicides and murders in the wake of the final event echo Call of Cthulhu with its communal madness. There’s a lot of excellent ideas beneath the surface, even if the surface occasionally feels a bit too pleasant – King’s homespun horror stylings are perhaps too cosy and sane for all-out Lovecraftian horror. 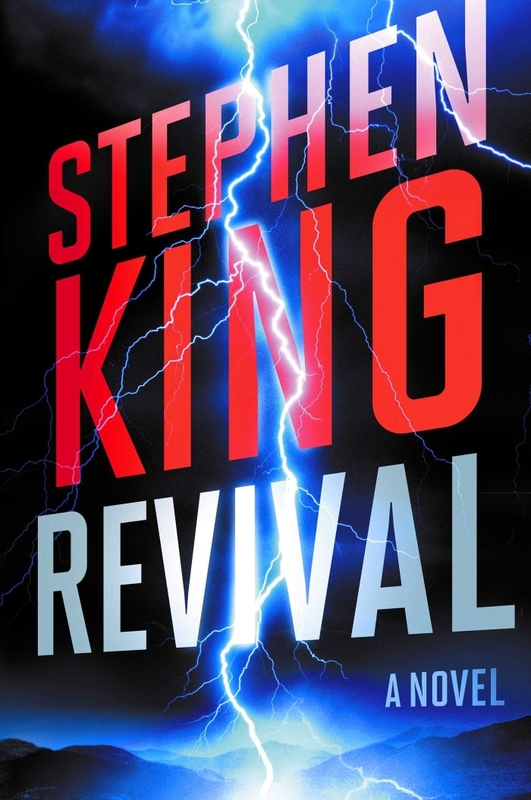 Even with the grumbles, Revival is a great novel, with a wonderful, solid emotional core. Published in 2014 by Scribner. Visit the author’s site and get the new novel Finders Keepers (out in June)! 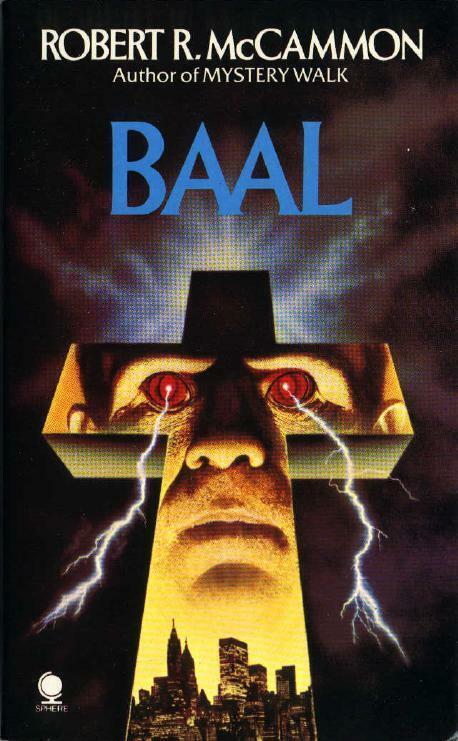 McCammon’s new novel The Border is out very soon from Subterranean Press, but here’s where it all began back in 1978; Baal is a very concise, pulpy and epic horror novel on a global scale, told in three acts. Things kick off in seventies’ grimy America, as the future mom of the demon gets attacked on the street. She’s saved in the nick of time, but gets strange burn marks all over her body. Later, she gets pregnant by her husband and gives birth to an obviously evil baby boy. When the father tries to drown the titular demon-to-be, the mother kills him. The kid gets shuffled off to a series of orphanages. As he grows older, he adopts the name Baal and starts messing with the nuns and the priests, and turns his fellow orphans into disciples. The second act moves the events to Kuwait, where people are going bananas over a mysterious religious leader. A theologist, Donald Naughton, goes to investigate and disappears. His colleague, James Virga, goes looking for Naughton and discovers that a now grown-up Baal is the one to blame for all the hubbub. He finds a helping hand in Michael, who seems to know a thing or two about what’s going on. After a fake assassination attempt, Baal disappears, and Virga and Michael track him to Greenland for the final act. They find him and start skiing to the ocean. A cosmic battle between good and evil follows, with Virga the only survivor. There’s an infectious energy to the novel; it’s bursting at the seams, the short length barely able to contain all the ideas. The first two thirds are excellent, with the first part echoing such classic horror as The Omen or Rosemary’s Baby. The second part in Kuwait is the high point, suffocating and claustrophobic, predating Dan Simmons‘ similarly atmospheric Song of Kali by more than half a decade. There’s also a spark of genius in keeping Baal out of the picture for most of the action, with the increasingly tumultuous events being observed through the eyes of outsiders Naughton and Virga. But after Kuwait, there should’ve been more. Baal’s barely made his grand entrance when he fakes his own assassination and goes into hiding. The scenes in Greenland are good and the milieu’s great, but it’s almost as if the novel is running out of steam by that point. It lumbers to its inevitable conclusion, but after all the excellent set-up, Baal kind of goes out with a whimper. 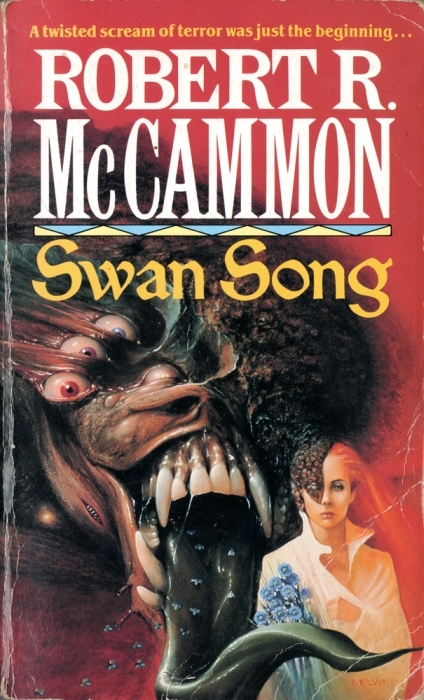 It’s obvious Baal was McCammon’s first novel, written when he was only 25 years old, and for a time he kept it out of print (along with several other early ones) for that very reason. Baal is nowhere as well-developed or evenly told as, for instance (my favourite) They Thirst, but it has its merits. 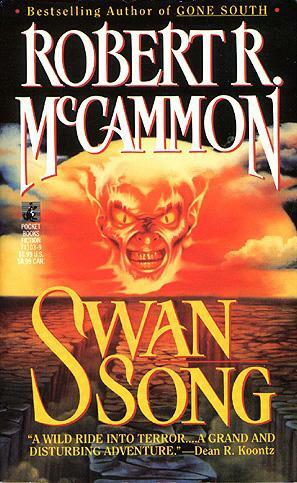 The youthful exuberance of it all makes it a joyous read, and even back then, McCammon’s brisk use of language was in evidence. The Kuwait chapters alone are worth the visit. 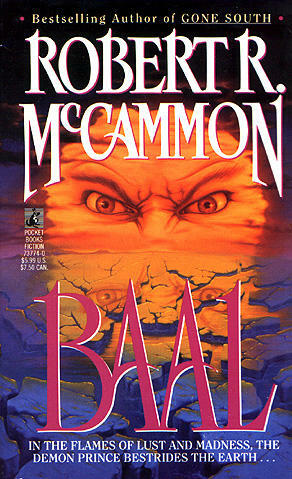 Baal doesn’t quite reach the dizzy heights it aspires to, but it makes a great effort, and in doing so points the way for McCammon’s later novels. A brave first novel. First published in 1978. Visit the author’s site and get McCammon’s new sf/horror novel The Border (out in May 2015) from Subterranean Press! Young Dennis Wheatley, later known for his occult novels such as The Devil Rides Out, arrives in the United States to consult on a film shoot together with renowned escape artist Harry Houdini. It’s all very pleasant, with carnival freaks (cf. Tod Browning’s 1932 film) and all, but then actresses get murdered and various hijinks ensue, culminating at a lake that serves as a center of worship for local loonies. Or something. It’s all very confusing. The plot lacks purpose; after the somewhat clever beginning the novel seems to implode into a series of incoherent scenes, with the characters rambling around Dunwich (now a major city, apparently) until a strange whimper of an ending. The choice of characters is clever, and combining silent film with a Great Old One created by Ramsey Campbell just screams perfection; but there’s no progression, no sense of menace, no plot to follow. It’s all padding, with a few neat names thrown in the mix. Oddly, the association with the Arkham Horror board game is the least of the novel’s problems; the only glaring sign of the game seems to be the appearance of PI Joe Diamond, who naturally comes across as that much cardboard. Diamond seems almost glued-on to the novel, perhaps a late editorial addition to beef up the already far-stretched contents? 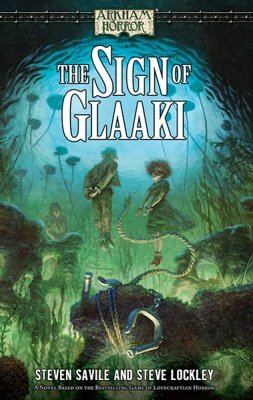 Some of the novels in the Arkham Horror line have been quite good fun; unfortunately, The Sign of Glaaki, despite having possibly the best premise, falls flat. Published by Fantasy Flight Games in 2013. Available in paperback. Not surprisingly, “1986” is a horror story – it begins as a ghost story, then becomes a decidedly Stephen King style coming-of-age story. The year in the title is no coincidence, it’s the year of IT and Stand by Me, among others. Other than eighties horror, the story pays tribute to the Call of Cthulhu roleplaying game. The game’s sanity loss mechanism plays a big role. You can see samples of the book in my Twitter, as well as on the publisher’s page (click the numbers after “Näytesivut“). If you wish to support the blog, or if you’re just curious about the book, you can buy it directly from me (contact me and I’ll give you the instructions). The cost is a mere £8 (or $10) and the price includes shipping worldwide.